Feeling down? Then maybe it’s time to start eating salmon like a grizzly bear. Seriously, your diet (among other factors) could actually be making you feel like a garbage person because you’re not getting the nutrients your brain needs to function at its peak. So if you want to improve your mood, sleep, energy, concentration, and body composition (yes, please! ), it might be time to reevaluate the foods you have in regular rotation. This isn't about food sensitivities or intolerances (read: I'm not gonna tell you to give up bread or cheese. We're trying to help you feel less depressed here). This is about adding a few foods to your diet to help you feel a little better about life. 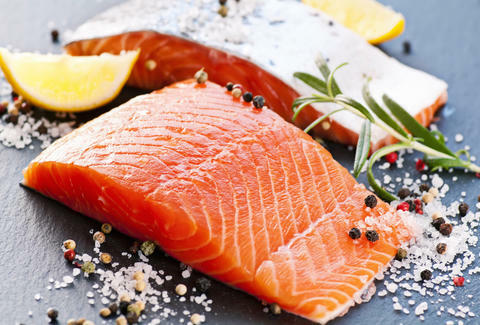 This includes salmon, trout, tuna, mackerel, and sardines. Wild fatty fish are basically elixirs of life. Not only are they packed with protein and healthy omega-3 fats, they're high in depression-fighting vitamin D. As a nation, most of us are vitamin D deprived -- only 23% of Americans have sufficient levels of vitamin D in their blood, and since you can’t frolic outside like the carefree kid you never were, you might as well chow down on a salmon roll. Yep, we’re talking chia. 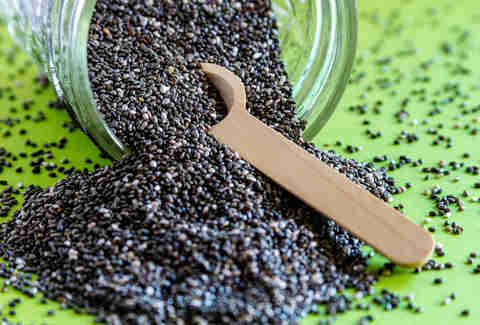 In addition to being absolutely loaded with nutrients, chia is high in omega-3 fatty acids. When it comes to inflammation -- which may play a role in depression -- you want to keep an eye on your omega-6 to omega-3 ratio. Since most processed food contains omega-6s, if you’re an American there’s little doubt you're getting enough. Just make sure you add some omega-3s. Flax seeds and macadamia nuts are also great sources for these depression-fighting fatty acids, and the fatty fish we discussed earlier are packed to the brim with omega-3s. Just when you thought you could escape kale! 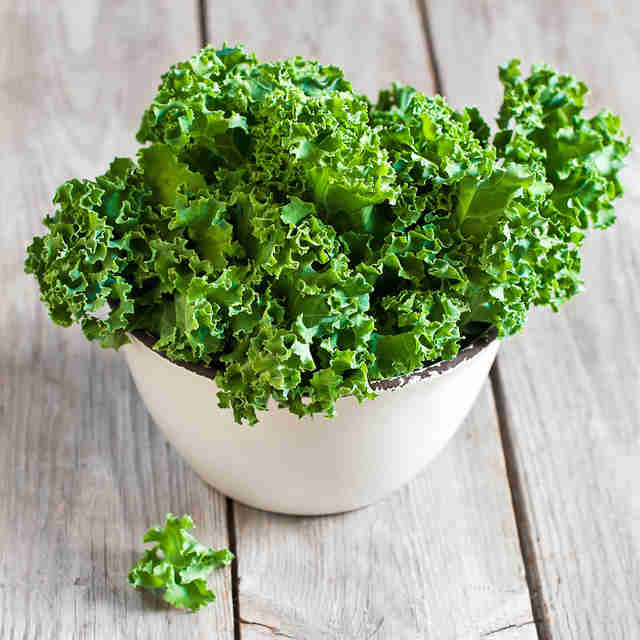 Kale’s definitely reached its saturation point, but that’s because it’s absurdly healthy and versatile. Among its laundry list of nutrients is magnesium, another player in mental health. When people are deficient, they get anxious and depressed. That’s right. You can read all the self-help you want, but that mood ain’t budgin’ if your body’s begging for magnesium. So incorporate kale or other foods high in this nutrient, like spinach and avocados. The microbiome is allllll the rage lately. Basically, the gut-brain connection is getting lots of attention thanks to research proving gut bacteria’s influence on depression. There are actually neural receptors in your gut, so when your gut bacteria’s off, you’re off. 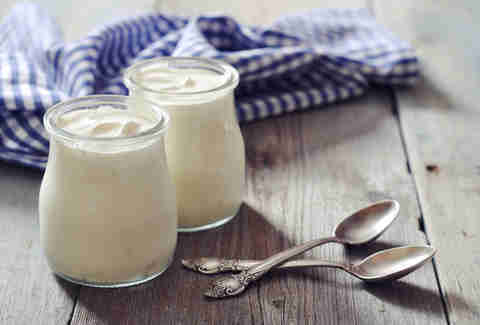 Fill yourself with happy bacteria from naturally fermented foods, like miso (great as a glaze for your fish), kefir, kimchi, probiotic yogurt, sauerkraut, and kombucha, or take a probiotic supplement (get one with 10 billion active cells that you need to refrigerate). 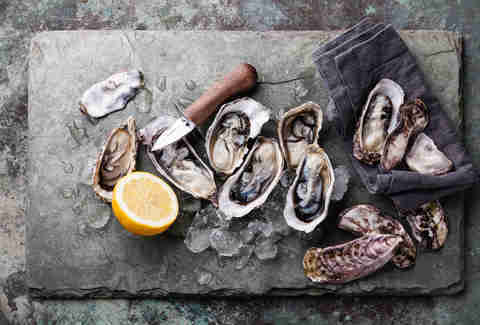 Not only are mussels, oysters, and clams great romance food (well, maybe not the clams), but they're super high in vitamin B12. Low levels of B vitamins, particularly B12 and B9 (folic acid), are associated with depression. After You Quit the Gym, How Long Until You're Officially a Slob? 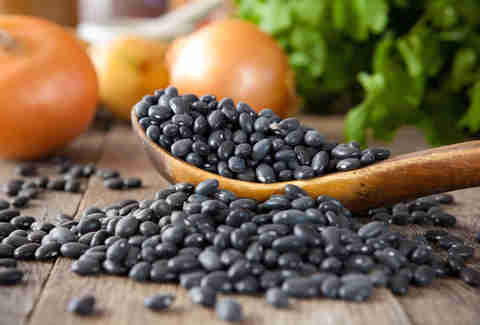 Shellfish are great for B12, but for B9 you’ll want beans of all kinds (white, black, kidney, pinto), chickpeas, lentils, avocados, and spinach. Please be prepared for the aftermath. While you're having fish as your main meal every other night of the week, you can reserve one night for lamb. 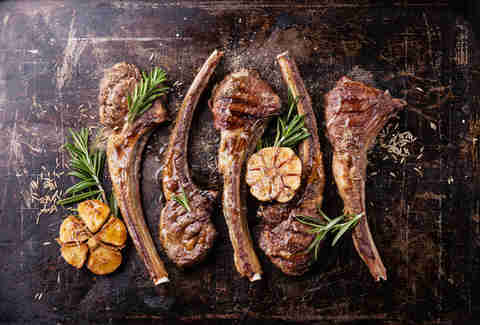 Lamb is high in zinc, which has an antidepressant effect, and your mood can suffer if you’re not getting enough of it in your diet. If you're not a lamb fan, other good sources include beef (just don't take that as permission to hit the drive-thru "for the zinc"), pumpkin seeds, sesame seeds, and quinoa. I’m of the belief that we ought to do what makes us feel best. 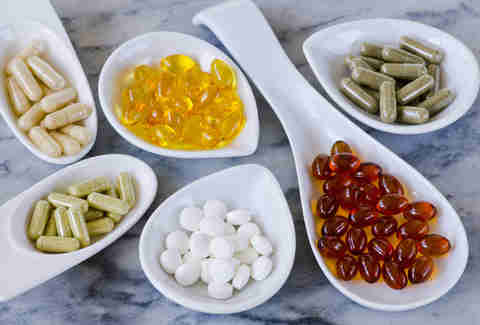 Personally, I feel better supplementing all of the above in addition to a healthy diet, but for some people, diet changes alone make a huge difference. You do you. And if things get really bad, please seek professional help. Megan Bruneau, M.A. RCC is a psychotherapist and wellness consultant who hates fishing but loves guys who fish. Read more from her at www.oneshrinksperspective.com or reach her at megan.bruneau@gmail.com, and follow her on Facebook, Twitter, and Instagram.